‘Love After Lockup’: Tracie Admits to Smoking Crack – Clint Making Bad Choices? 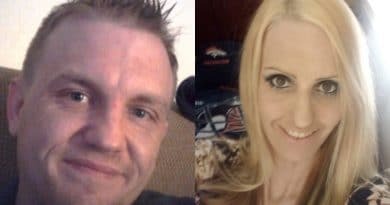 Love After Lockup viewers know that Tracie Wagaman and Clint Brady have a rocky relationship history. Tracie is in and out of jail and has frequent run-ins with the law. She allegedly stole Clint Brady’s rental car to go score drugs on their wedding night. 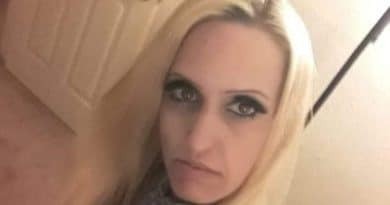 Fans speculate on whether or not Tracie Wagaman is back to using drugs. Not only does Tracie smoke crack, she admitted publicly to smoking it recreationally. Where does this leave Clint? Recently, a photo of Tracie Wagaman made the rounds on social media. In the photo, she is much thinner than she is on the current season of Love After Lockup. This is what led many to believe that Tracie is back to using drugs. Further, viewers even commented that crack is her weight-loss method of choice. Based on what Tracie Wagaman recently revealed online, being back on the pipe could be a reason for that weight loss after all. Love After Lockup: Is Clint Brady an Unfortunate Accessory? With Tracie Wagaman admittedly back on the pipe recreationally, where does this leave Clint Brady? He admitted on Love After Lockup that he rested his head in Tracie’s lap as she got high. Is Clint just an innocent bystander in all this or is there more to the story? Fellow LAL cast member Scott was an enabler when it came to Lizzie. He funded her drug habit while she was behind bars. Is Clint in a similar situation? 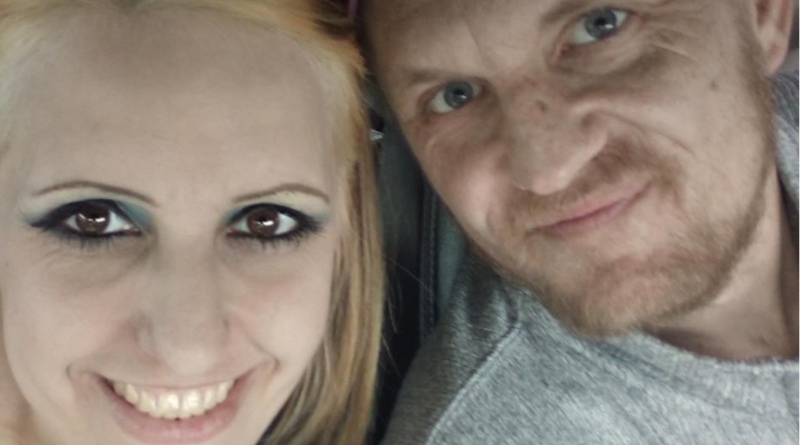 On Love After Lockup, Clint Brady appears absolutely smitten with Tracie Wagaman. His “Goddess” can do no wrong in his eyes – even if she allegedly steals his rental car to score drugs. Is Clint deep under Tracie’s spell or is he waking up to her behavior? Right now, all signs seem to point to the fact that Clint lets Tracie get away with whatever she wants. The pair are still together, so maybe their relationship dynamic works somehow even if the majority of fans don’t understand it. 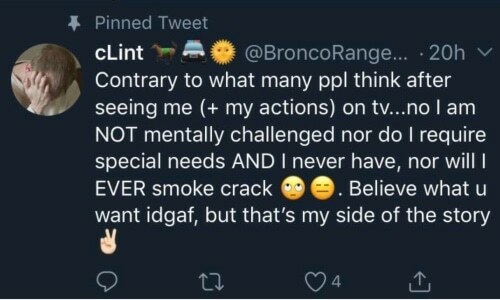 Interestingly, with Tracie Wagaman back to indulging her habit, some viewers question whether Clint Brady is on the pipe too. In a recent tweet, Clint defended himself against his detractors. He said that he never smoked crack, nor will he ever do so. He did get nabbed recently for marijuana possession, though. In short, for better or worse, it seems Clint is standing by his Love After Lockup wife Tracie. Now that she admitted publicly to using drugs, it’ll be interesting to see if she can stay out of jail over the long term. Catch new episodes of Love After Lockup Friday at 9:00 pm only on WE TV. Come back to Soap Dirt to stay current on all the latest Love After Lockup news and leaks. ← ‘Days of Our Lives’ Spoilers: Kate Mansi and Billy Flynn Final Airdate Revealed – Happily Ever After Exit? Love After Lockup: Scott and Megan Played by Lizzie and Michael – Are They Being Conned?